I've never personally been big on yachts, but this is one I could literally get on board with. 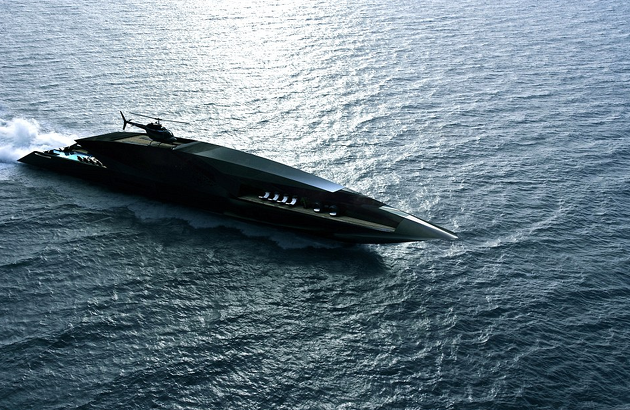 'Superyacht' Black Swan looks like it could belong to some villainous kingpin. 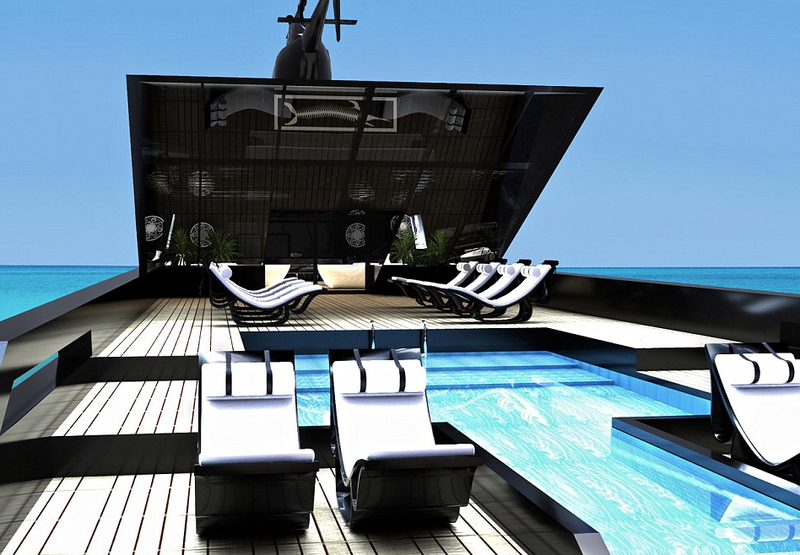 The concept yacht comes with a swimming pool, sun decking and hidden balconies that boast the greatest views possible. The vessel's unique design was inspired by the shape of an arrow. 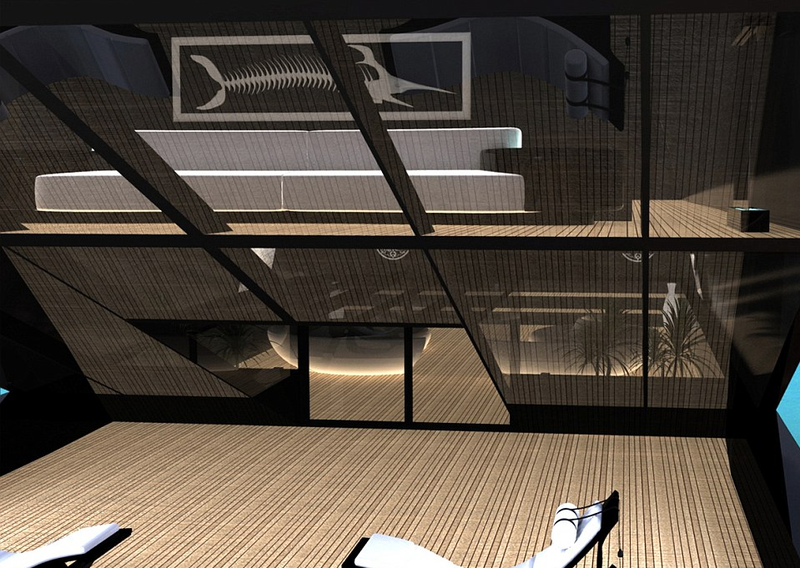 Bozca is aiming to redefine experience, style and luxury. 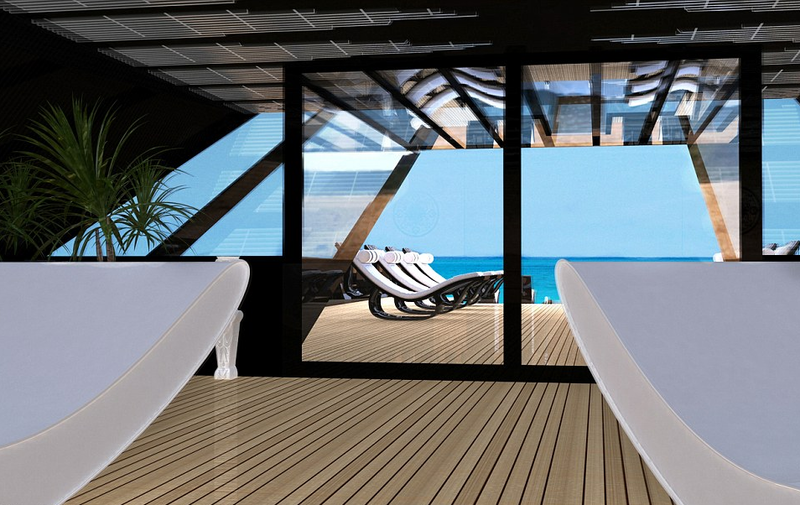 Jaw-dropping renderings even show an extended beach club on one deck, where passengers can go for a dip in a pool that fades away towards the stern. Perhaps the greatest addition, and what really separates it from the boys, is the helicopter platform on the top deck, which is accessed via a concealed lift, allowing the owner and their guests to travel between the yacht and the airport or their villa without having to bother with traffic.